Here’s a website that could depress you or elate you depending on your perspective. 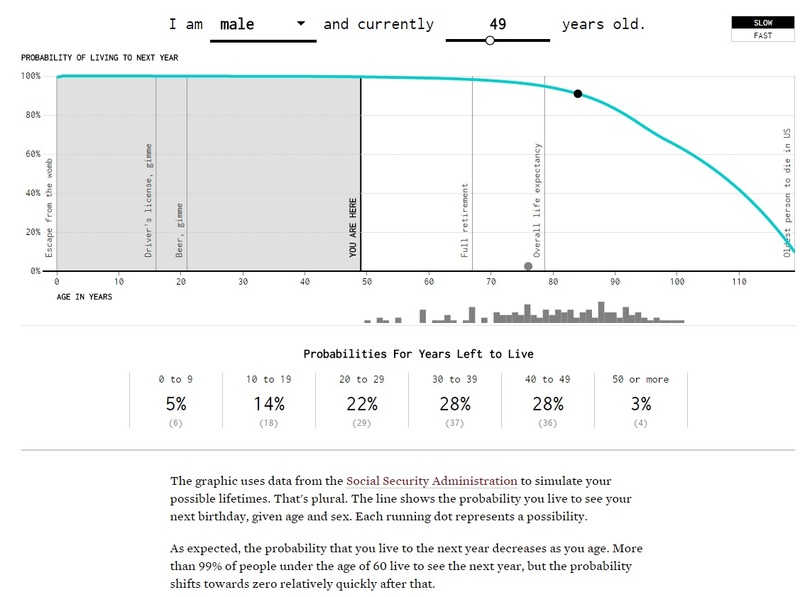 It calculates your odds for living a certain number of years based on your gender and current age. According to the odds I’m very likely more than halfway through my life (glass half empty) but I’m also more than likely to make it at least another 30 years (glass half full). Here’s an observation: the older you are the less likely you are to see the glass half full. This entry was posted in Interesting and tagged aging, interesting, webtool on September 23, 2015 by Jon Lowder.